In recent years, due to the impact of the financial crisis, China's machine tool accessories market has shrunk. Due to the development of China's machine tool products, the industry structure and production capacity have been neglected, and China's machine tool industry has fallen into a state of stagnation. With the transfer of machine tool industry to China, not only has the production capacity of China's machine tool industry been expanded, but also the overall level of China's machine tool industry has been improved, the popularity of China's machine tool industry has been improved, and the international market share of China's products has been increased. However, due to the impact of the financial crisis, China's machine tool accessories market has shrunk overall. Although China's policy has also strongly encouraged the development of machine tool parts companies, the strict requirements of users, coupled with the competitive pressures of foreign major machine tool companies, make China's relevant enterprises. The market is facing great risks. According to statistics from the Machine Tool Association, Chinaâ€™s imports of machine tool products increased rapidly in 2011 with imports of US$20.3 billion, a year-on-year increase of 29%. Wu Bolin pointed out that the current situation in which China's economic growth depends on exports and investment has not fundamentally changed, but the growth momentum of these two aspects has obviously declined. It can be expected that macroeconomic growth will slow down in the coming period, and the demand for machine tool products will also slow down. Under such circumstances, it is imperative to promote the industry to become stronger and stronger. It is noteworthy that China's machine tool industry is still dominated by SMEs, the current industry competition is mainly low-end product competition, informal competition means is disrupting the development of the market, causing greater harm to the machine tool manufacturing industry. At present, the competition in the machine tool industry is still not standardized, or has an impact on the development of the machine tool industry. The main problems include: 1. Some operators purchase machine tools without factory names, print well-known manufacturers' brand names and certificates, and honor the reputation of qualified machine tool companies. Cause serious harm. Second, renovation of machine tools, some operators through the re-painted scrap machine after the second sale, to the quality of the project to bring serious security risks. Most companies in the current machine tool industry rely on the reduction of product prices to gain market access. The consequences are low product prices, low added value, and low profits. Companies do not have sufficient funds to continue to develop. With the development of the industry and the escalation of competition, it is the best choice for the company's long-term development to increase product technology content, have independent patents, design, and focus on brand building and marketing. 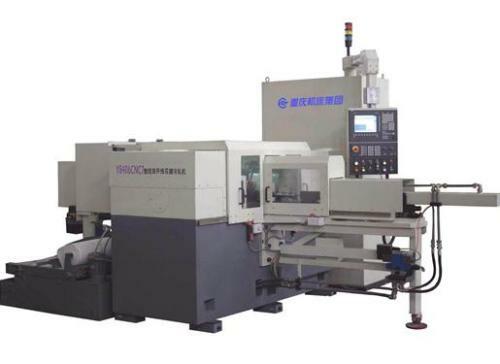 The development of China's machine tool industry needs to be guided by market demand, with the development of CNC machine tools as the leading tool, the host as the leader, and the perfect supporting system as the foundation, and strive to realize the early realization of CNC machine tool products from low-end to high-end, from primary product processing to high-precision product manufacturing. The transformation.